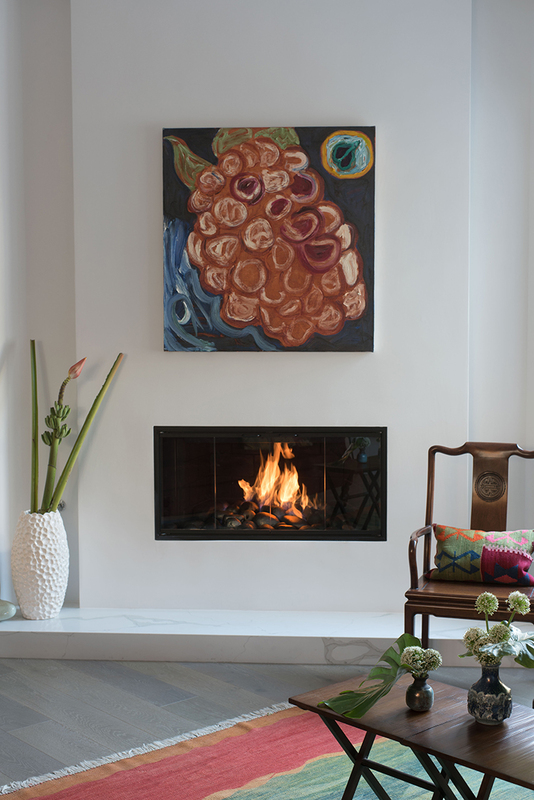 We’ve rounded up our top 15 fireplaces ever featured on ASPIRE DESIGN AND HOME. Get design ideas for stunning fireplace and mantel designs from ASPIRE. 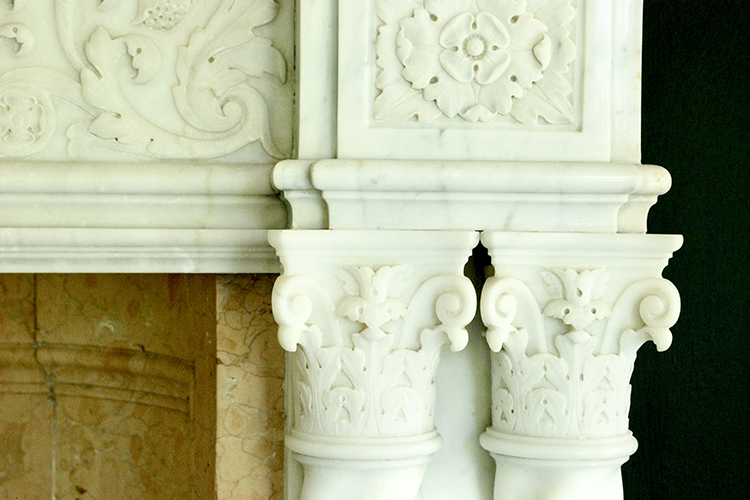 1 – Charles T. Fisher Mansion Original Fireplace | An elaborately carved fireplace mantle adorns the homes living room. 2 – BAMO Designed Limestone Fireplace | A fireplace in a green residence made from reclaimed limestone (designed in the guise of a modern-day barn for environmental activist Linda Yates, Paul Holland and their three daughters). 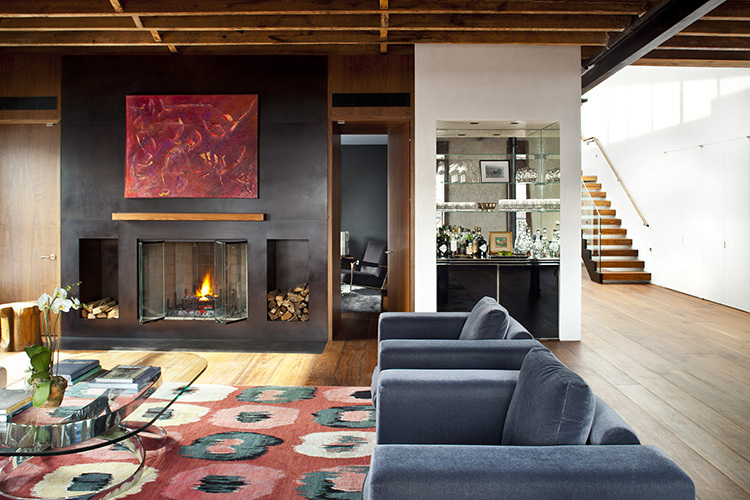 3 – New York City Loft Fireplace | Space designed by HS2 Architects. 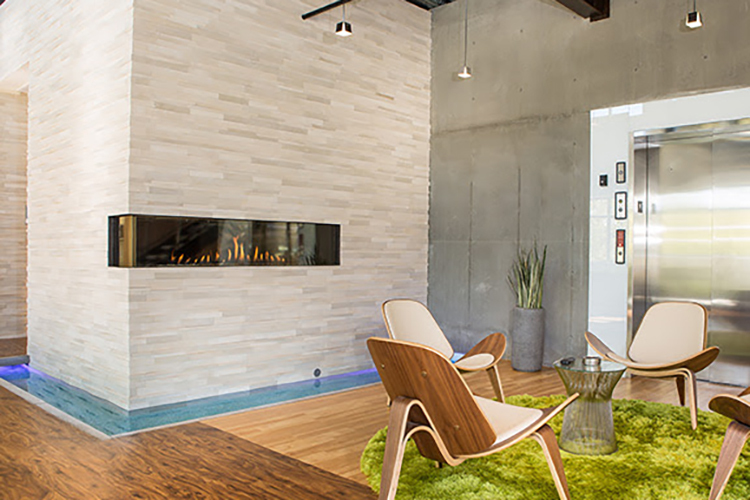 The fireplace is a modern architectural design element in an otherwise minimal design space. 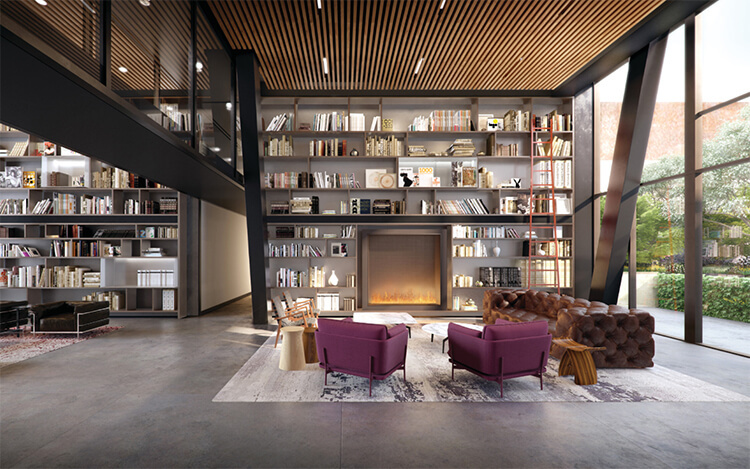 4 – Charlie West NYC Fireplace | Located in a curated library for the building’s residence surrounded by a serene, private courtyard. The fireplace brings a sense of coziness to the room. 5 – Eclectic Living Room Fireplace | Inthe light-filled living room where curves contrast with straight edges, an oil and tar on canvas by Piero Manzoni, “Genus,” draws attention to the fireplace. 6 – New York Tudor Fireplace | The fireplace was updated with a mantel made from reclaimed wood and a cabinet above it, to hide the TV. This area now offers one of the best views in the house. 7 – Marie Flanigan Sitting Area Fireplace | A graphic portrait by Padaric Kolander is flanked by blocked shelving while dramatic, rift-cut oak paneling and trim, in a contemporary application, are brought to life using rich, earthy hues and bold textures and patterns adorn the fireplace. 8&9 – Santa Monica Townhouse Fireplaces | Two contemporary fireplaces are used in two separate spaces in the home to blend sophisticated minimalism with diverse art items. 10 – Steven Favreau Hubble Shire Farm Master Bedroom Fireplace | A warm, happy place for the homeowners featuring black, white and orange tones. 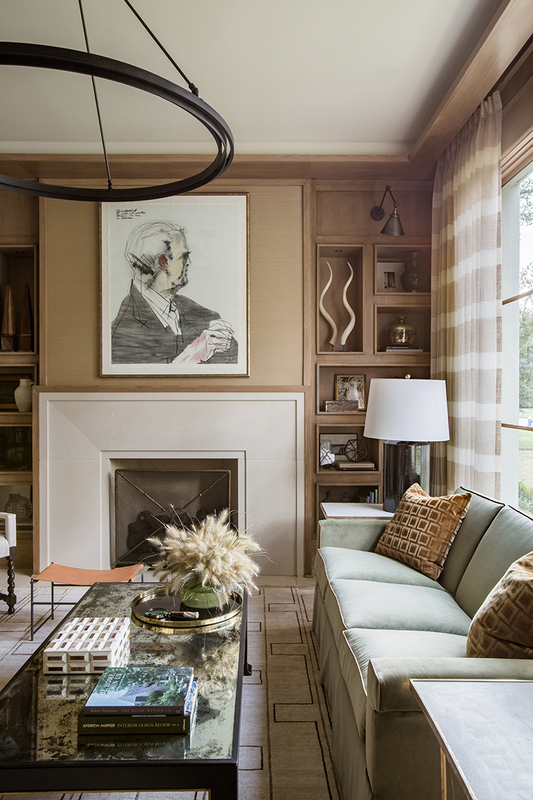 11 – Chad Jame’s Study Fireplace | The study is paneled in bird’s-eye maple painted “telephone-pole brown” and draped with different colors for an ombre effect with a stark white fireplace. 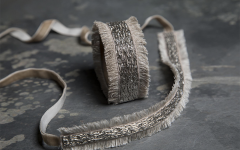 Lee Industries lounges, a Holly Hunt sofa, interesting finishes like the water gilt on the Louis XVI bergere and wool carpeting create a subtle, yet key textural comment. 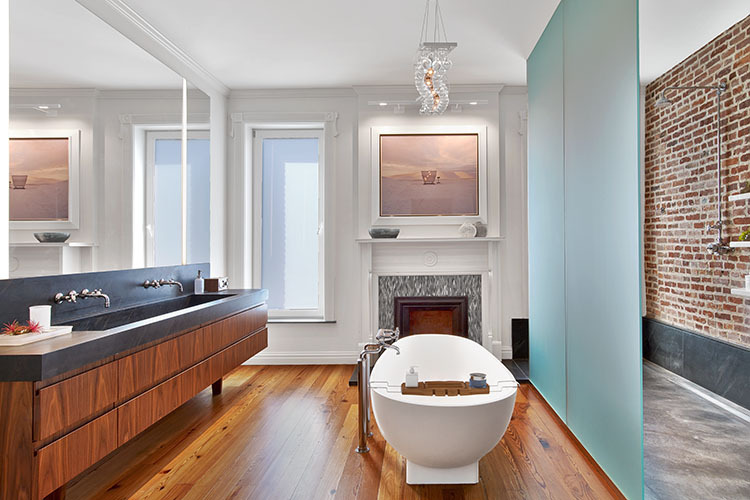 12 – Park Slope Bathroom Fireplace | A bathroom isn’t the first place you’d expect to see a fireplace. The carefully restored mantelpieces details integrate with other architectural elements in the room. 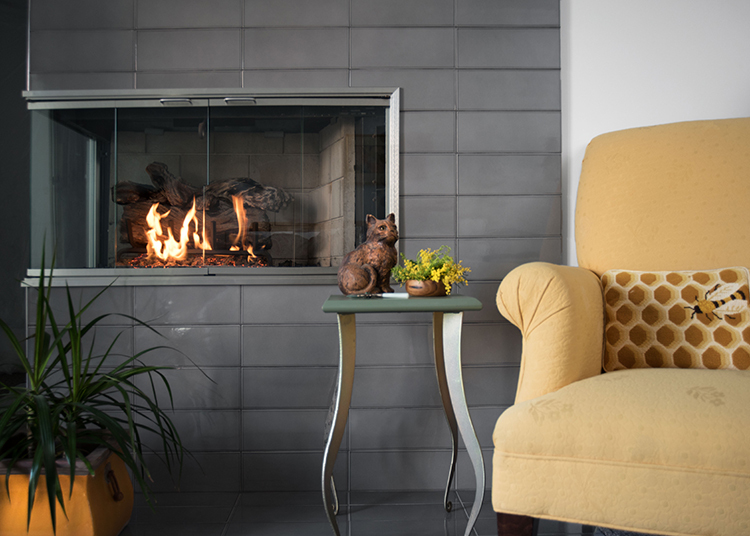 13 – Dafna Adler Living Room Fireplace | This fireplace serves a the focal point for the room. 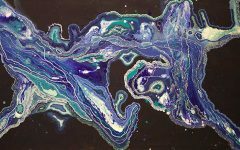 It defines the aesthetic and overall ambiance within the room. 14 – South African Studio Fireplace | While the bottom floor is essentially one large, open space, surprise features such as this fireplace, which can be found in the middle of the room, separate it into different living zones. 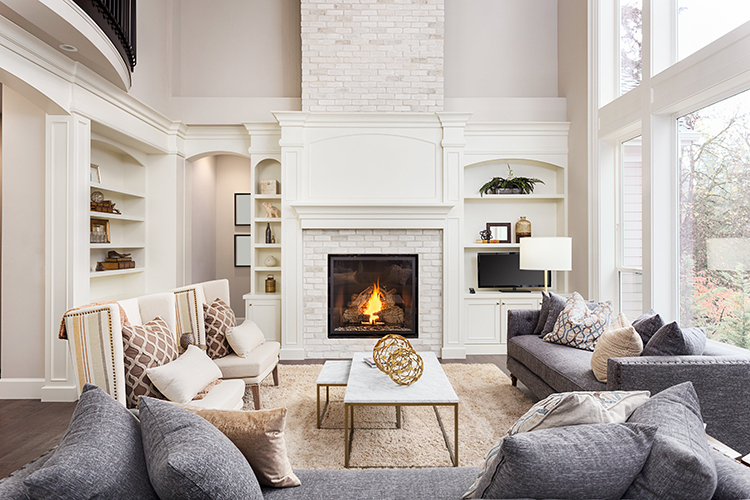 15 – Corner Frameless Fireplace | Wide or narrow, cozy or imposing, left-side or right-side corner fireplaces are ideal and flexible architectural solutions that bring focus to any space. The modern luxury of a direct vent fireplace equipped with Ortal’s revolutionary cooling technology keeps the surrounding temperature down while retaining the heat-producing properties of a traditional fireplace. Like what you see? 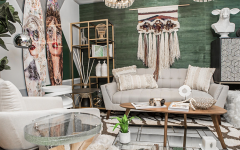 Get it first with a subscription to ASPIRE DESIGN AND HOME magazine.